Sometimes, if you’re an idiot like me, you will have a better time purely by accident. I thought I wanted to see Nomeansno last month. It turns out that I didn’t. I went out to see them. I got money from the ATM up the street. I paid the dude at the door. I got my hand stamped. I shuffled my way into the back of the Beat Kitchen. I even took my girlfriend. The opening band was pretty good. I wondered what they were called. I wondered why I didn’t see a Nomeansno flyer anywhere. I wondered why they weren’t on the sign out front. I wondered why there were indie rock kids everywhere. I wondered where Nomeansno was really playing. I wondered why I had just paid fifteen dollars. I wondered if my girlfriend would be sleeping with me this night. I wondered, hoped, and prayed that this show would be good. What I saw, purely by accident, was better than I could have ever seen for my own idiot self. What I saw was Jeffrey Lewis. 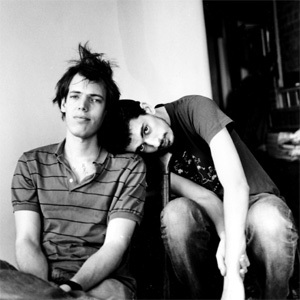 Jeffrey Lewis is everything that is good about rock and roll - everything that is still vital and passionate and intelligent and good about rock and roll. The guy he was opening for was everything that is spineless, wrong, upsetting, and flaccid about rock and roll; but I don’t even want to talk about that, it puts me in a bad mood. 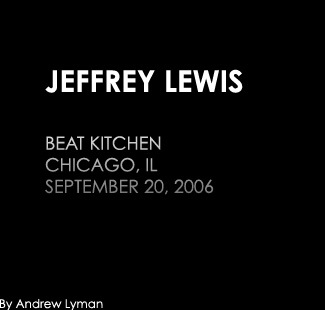 The true point is that Jeffrey Lewis is one of the most promising things I’ve seen happening in a long time. He’s a folk-punk poet. He’s a freak-out indie rock and roller. He’s a singer songwriter jangle-pop balladeer. He has energy, he has presence, he has force, he has a sense of humor. Lewis and his brother perform the type of engrossing folk punk that has been all but absent from the scene for a good decade or so. He wallows in self-doubt, but his music is undeniably assured and confident. He also makes comics, and not like, “oh yeah, I also draw, too.” He makes good comics; intelligent, funny comics. I picked up one because I didn’t have enough money to get an album after the $15 dollar cover. It’s great. This guy deserves our appreciation. This is not just another indie rock hack throwing together self-consciously “cool” lyrics. He's not being random or quirky because he doesn’t have the talent or control to be anything else. This is a very adept storyteller with a real sense of history and his own place in it. His lyrics are some of the best I’ve heard in a long time. They are pointed and wry. They instantly take you into his world and you buy it all, lock stock and barrel. No question. I was sold from the first song. I was even more sold when he busted out his “video” - a big illustrated book he made to illustrate a song about a creeping brain that eats the world, getting smarter as it eats until realizing it shouldn’t just eat everyone; that it should do something to improve our situation. I cannot recommend this guy enough. I have since found two of his albums in the used racks at record stores around town. They are as excellent as his show. Apparently other people don’t think so since they keep selling his records, but maybe they were just in the wrong hands. I believe Lewis will be appreciated in due time by those that deserve to appreciate him. He is the most encouraging, refreshing act I have seen or heard for a long time. I hope he is the shape of things to come rather than the one in a million he seems to be at the moment. I went up to Jeffrey after the show and shook his hand. I told him that I had seen him by mistake; that I wanted to see Nomeansno that night but went to the wrong venue. I didn’t even care anymore about missing one of my favorite old punk bands, because I had been more than won over by something new. I had been blown away. I told him he had better sign my comic before I went home and found out that he was one of our generation’s consummate geniuses. I think that was a good move on my part. 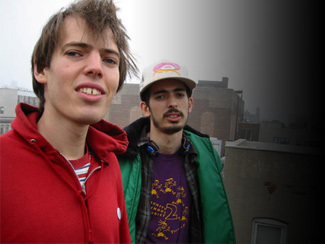 Jeffrey Lewis opens for Scritti Politti for select dates throughout November.